Students at Richland High School debate money management topics. 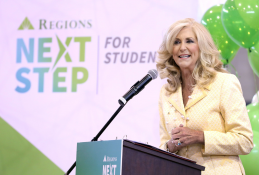 BIRMINGHAM, Ala. – April 11, 2019 – Regions Bank is again bringing awareness to Financial Literacy Month through its financial wellness program, Next Step, and its second annual finance-focused student debates. 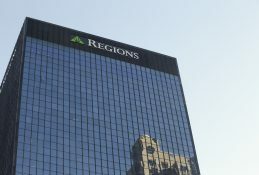 Regions Next Step is a financial education and wellness program designed to help make life better. The online portal and offline events offer free advice, tools and an accessible financial education curriculum to help anyone achieve their financial goals. 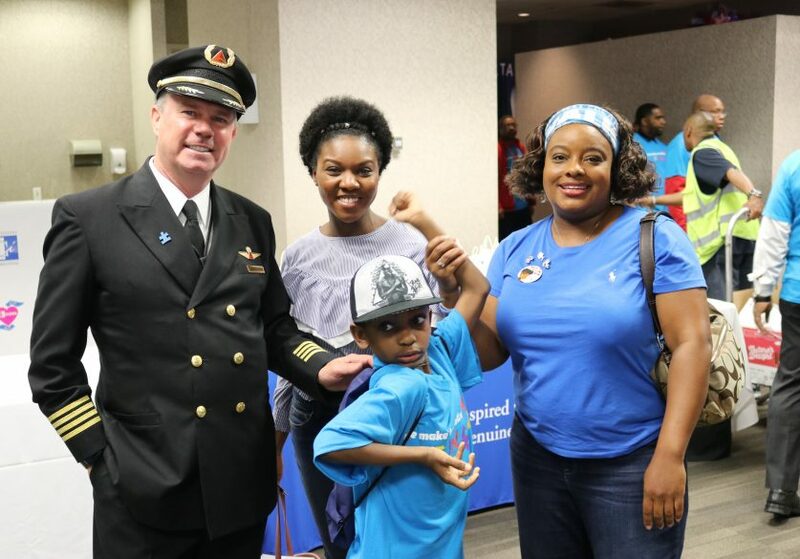 Every day, Regions associates are a vital component to the holistic Regions Next Step program; devoted to inspiring and motivating customers and helping improve financial literacy in the communities Regions serves. Regions’ community commitment extends to youth financial education, highlighted by the second annual finance-focused student debates, held in partnership with financial education software company, EVERFI. 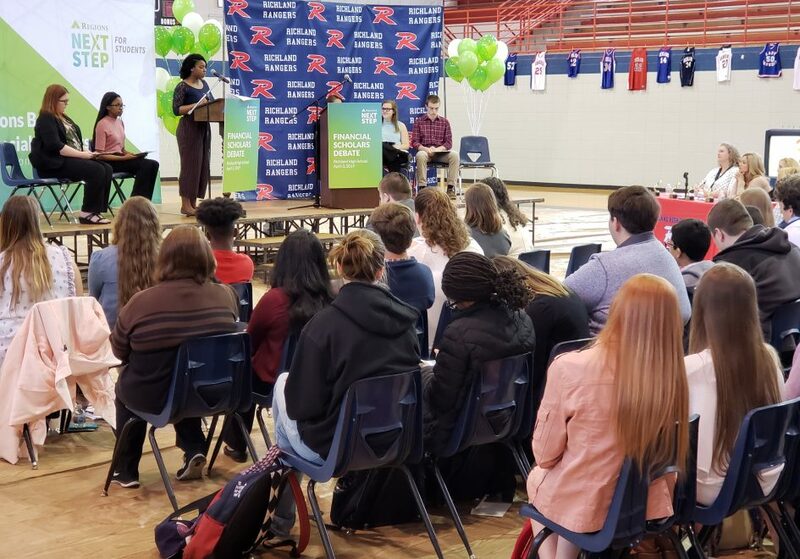 Twenty 11th and 12th grade students at Richland High School in Richland, Mississippi, participated in the event on April 3. 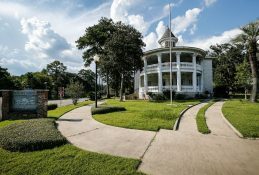 The debate topics included renting versus buying a home, student loan repayment strategies, saving versus investing, and selecting a college major and career. 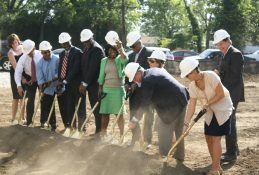 Regions Bank representatives and local leaders attended and served as judges. 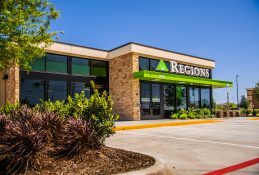 Regions Bank offers programs and resources aimed at helping people move forward towards their financial goals year-round. 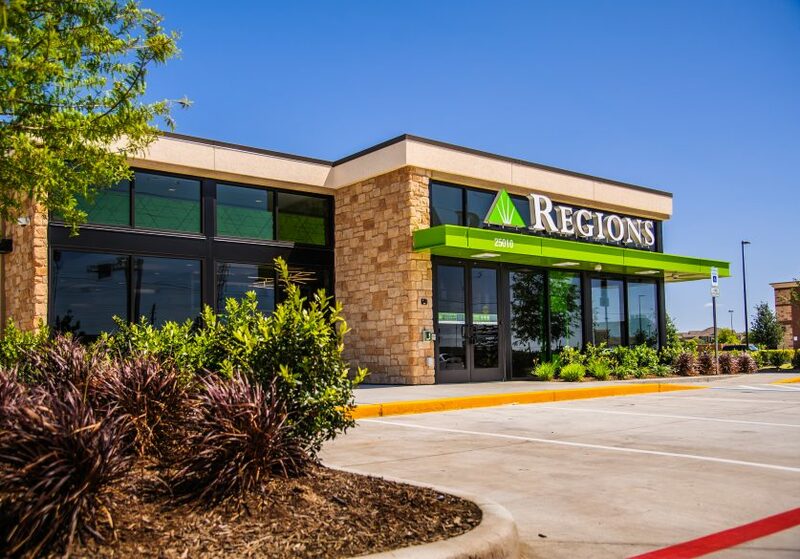 In the last five years alone, Regions has taught nearly 400,000 financial wellness classes across its footprint and has helped more than 5 million people better understand their finances. 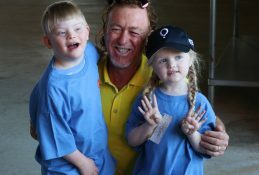 Additionally, Regions associates have invested 75,000 financial education volunteer service hours in their communities. 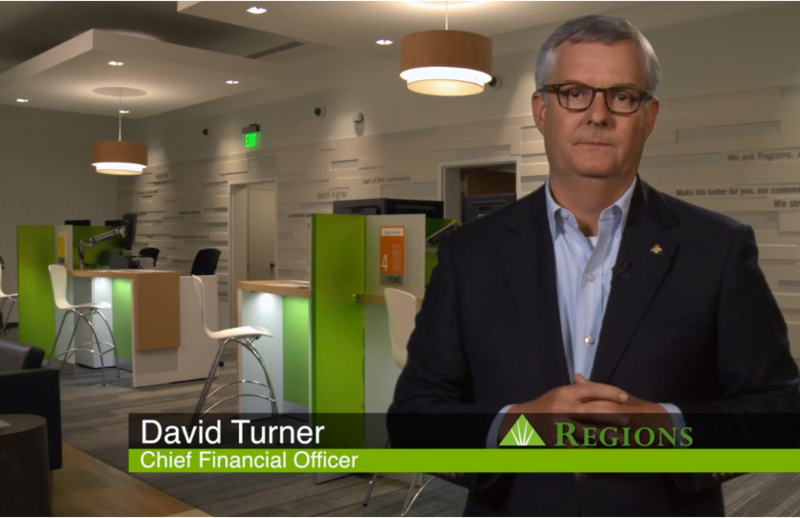 To learn more about Regions Next Step, visit www.regions.com/nextstep or speak with a Regions associate in any Regions Bank location.